High resolution survey of the Atlantide shipwreck. 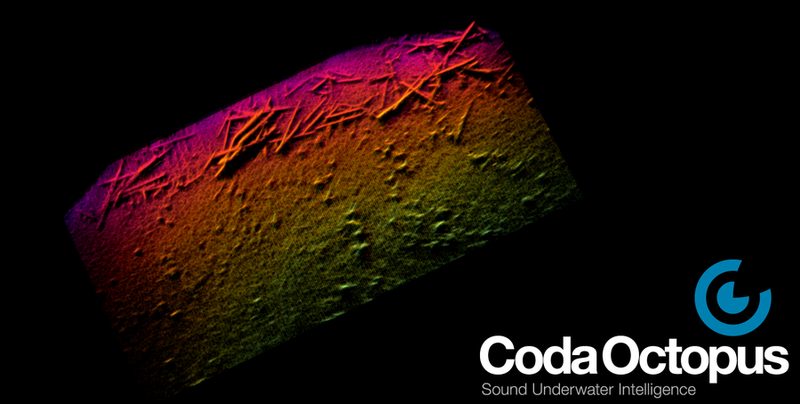 Surveyed using the Coda Octopus Echoscope® 3D real-time imaging sonar and our Motion F180 Series products. Real-time inspection of breakwater blocks and rubble mound. Post damage inspection of breakwater damage showing missing and fallen tetra pods. 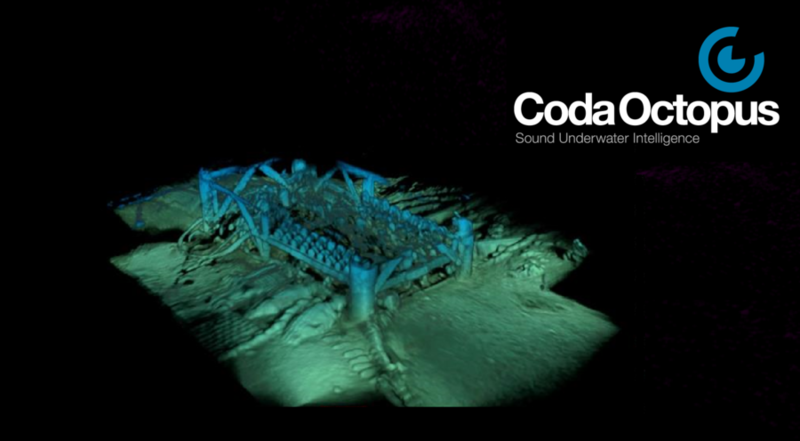 Surveyed using the Coda Octopus UIS (Underwater Inspection System) comprising the Echoscope® 3D real-time imaging sonar, UIS vessel Pole Mount and our Motion F180 Series products. Scour and damage inspection of jetty with broken end section and debris spill on seafloor. 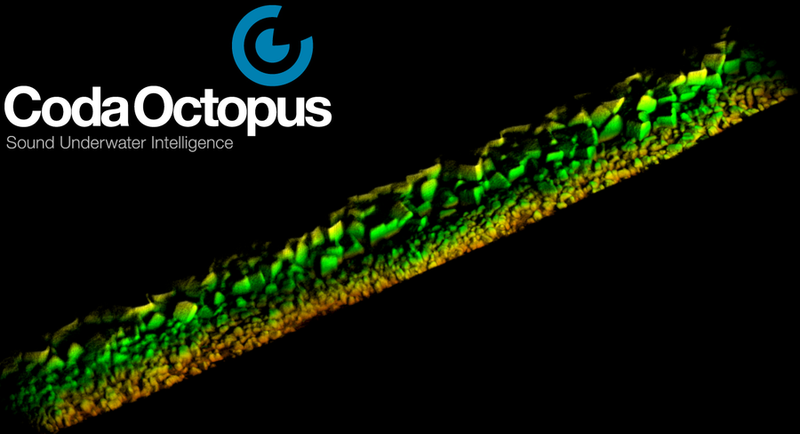 Surveyed using the Coda Octopus Echoscope® 3D real-time imaging sonar, UIS vessel Pole Mount and our Motion F180 Series products. 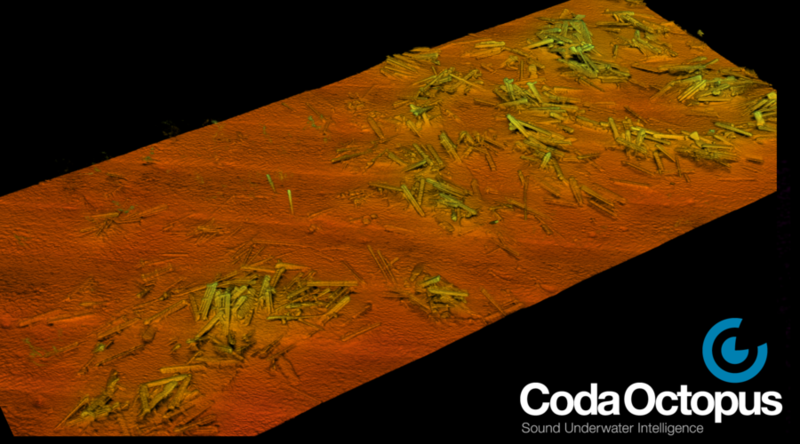 Debris on seafloor from a collapsed jetty inspection. 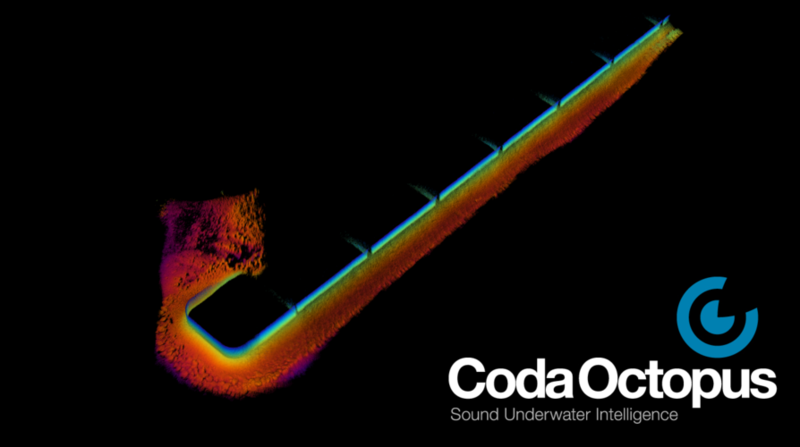 Surveyed using the Coda Octopus Echoscope® 3D real-time imaging sonar, UIS vessel Pole Mount and our Motion F180 Series products. Large area survey of a manmade debris field with concrete pillars and railings from a collapsed bridge in Tampa Bay, FL. 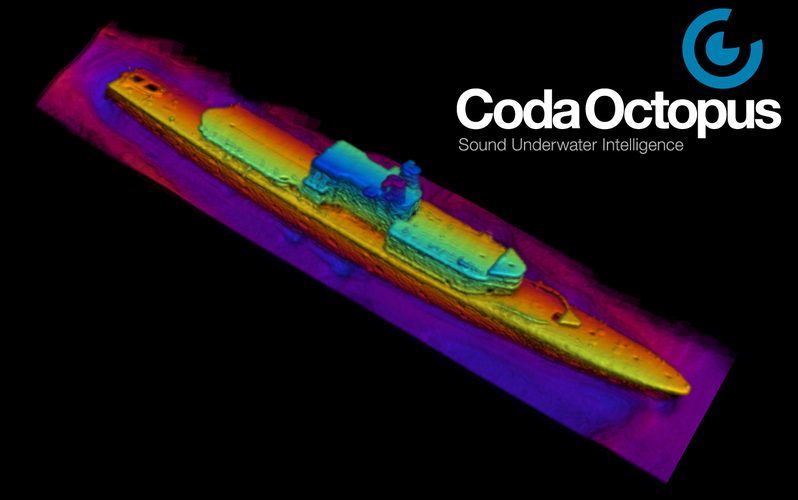 Surveyed using the Coda Octopus Echoscope® 3D real-time imaging sonar, UIS vessel Pole Mount and our Motion F180 Series products. Single pass survey of the HMCS Annapolis perfectly intact wreck, sunk to create an artificial reef. The image was created in real-time using our new Volumetric Rendering capability. 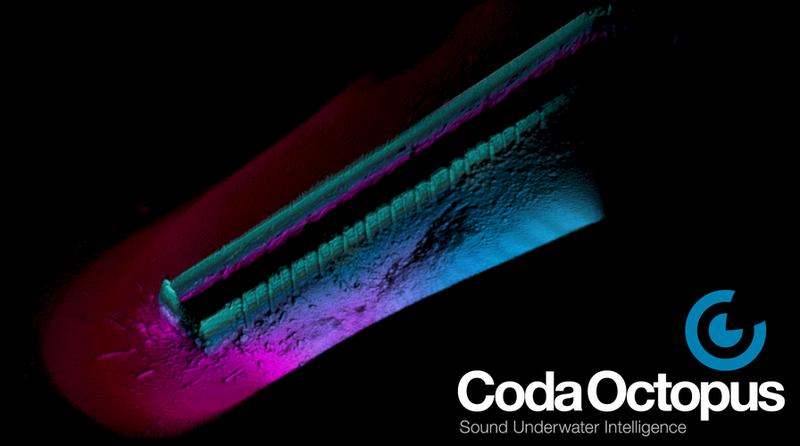 Surveyed using the Coda Octopus Echoscope® 3D real-time imaging sonar and our Motion F180 Series products. Jetty scour assessment survey with color depicting elevation. 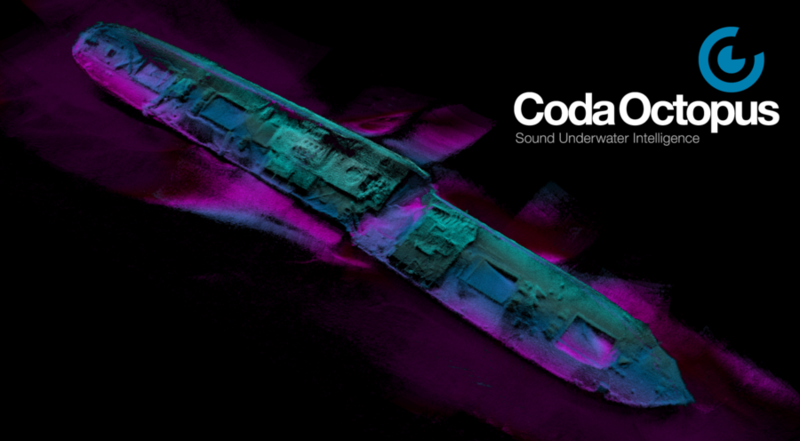 Surveyed using the Coda Octopus Echoscope® 3D real-time imaging sonar, UIS vessel Pole Mount and our Motion F180 Series products. 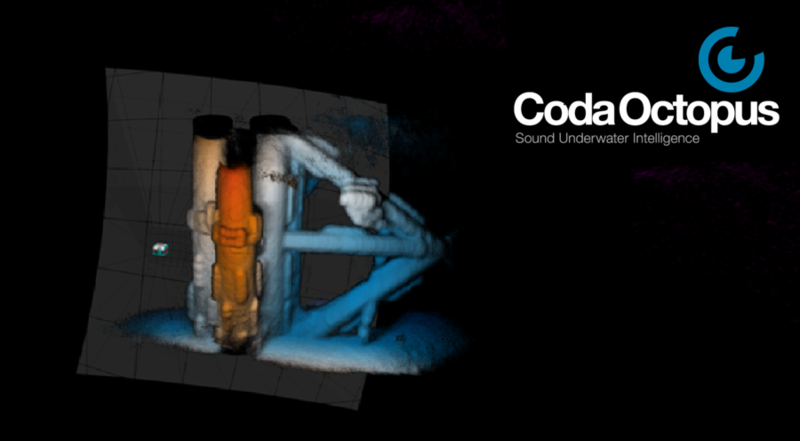 Complex subsea manifold inspection using deep water work-class ROV and the Coda Octopus Echoscope® 3D real-time imaging sonar. The image was created in real-time using our new Volumetric Rendering capability highlighting clearly the complex pipework and cabling around the structure. Three images showing the placement of a mattress on the seafloor for scour prevention or cable and pipe protection. The three images show clearly how the operator can in first person perspective see the mattress touch the seafloor and unfold to its final position prior to release. 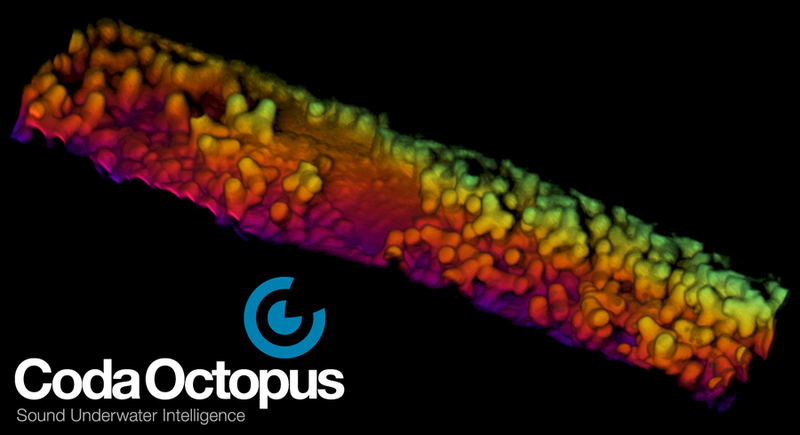 Monitored using the Coda Octopus Echoscope® 3D real-time imaging sonar with Integrated Pan and Tilt (IPT) products. Visual inspection of a river gate structure to identify damage to the structure or blockage from debris. Inspection takes less than 3 minutes with a full 3D model data set deliverable. 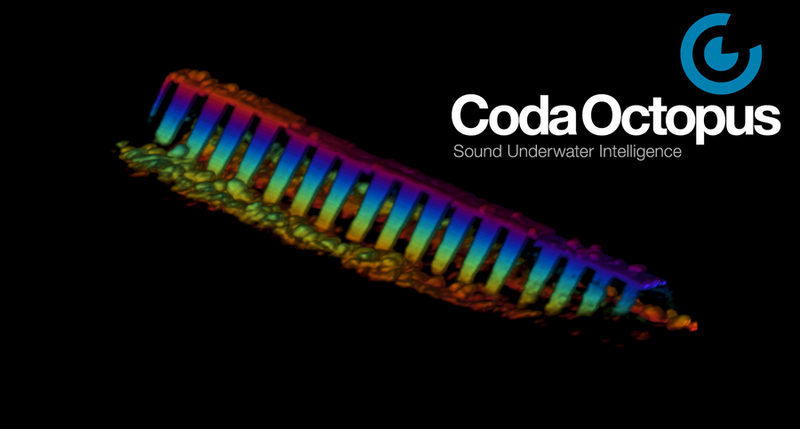 Monitored using the Coda Octopus Echoscope® 3D real-time imaging sonar with Integrated Pan and Tilt (IPT) and our Motion F180 Series products. 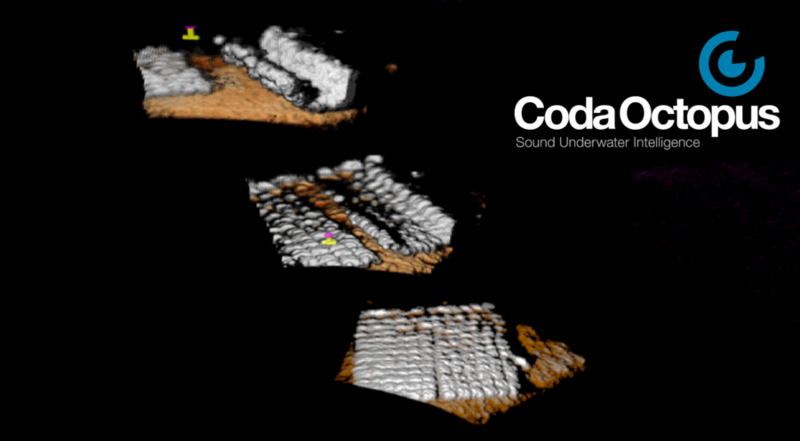 Real-time jacket anode inspection on an offshore oil platform using an ROV and the Coda Octopus Echoscope® 3D real-time imaging sonar. The ROV pilot uses the real-time 3D display presented to safely fly around the structure and inspect fully the structure in detail with no image post-processing required. 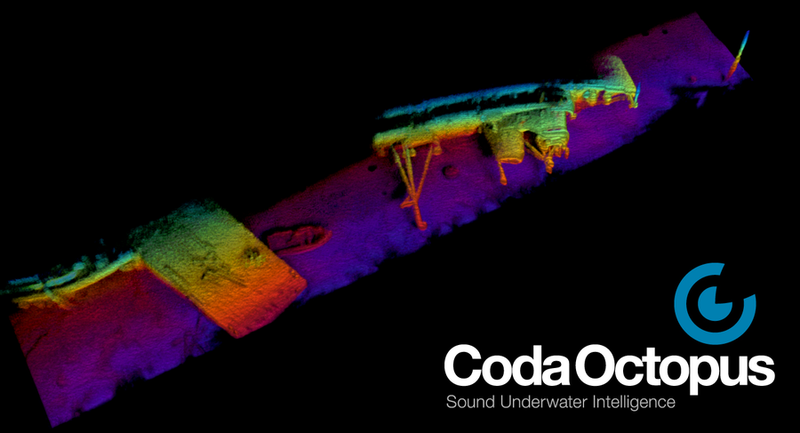 Sunken Tug, barge and small vessel surveyed during live training with a law enforcement marine patrol unit using their Coda Octopus UIS (Underwater Inspection System) comprising the Echoscope® 3D real-time imaging sonar, UIS vessel Pole Mount and our Motion F180 Series products.